I love it when we find an activity the kids want to do over and over! 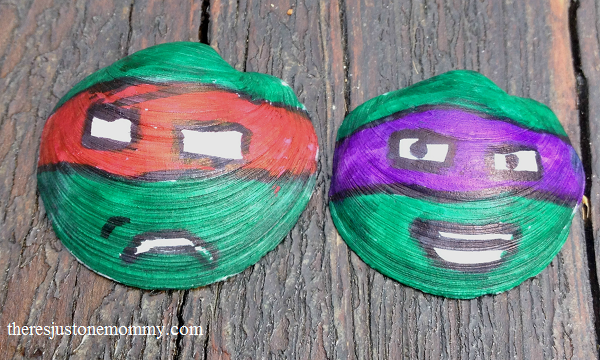 My seven year-old was hooked on our super simple shell craft; she designed shells for several days. Her favorites? 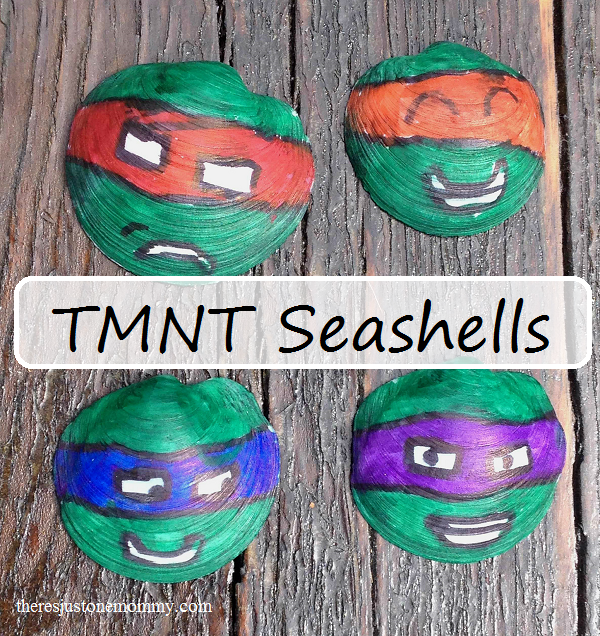 These awesome Teenage Mutant Ninja Turtle inspired seashells! This craft was completely my 8 year-old’s idea. 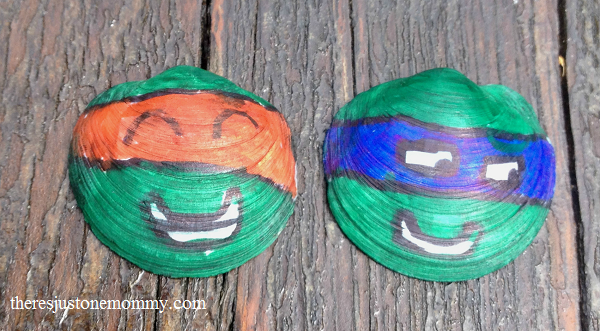 To create your own seashell ninja turtles you will need plain white clam shells and permanent markers. For each TMNT you wish to make, first outline all the details with a black permanent marker. This is important so the eye area doesn’t get colored! Then color each face mask the appropriate color: red, purple, orange, or blue. Finally, color the rest of the turtle green. Check out Michaelangelo’s big smile! Don’t miss out on awesome kids crafts! Subscribe to our newsletter. Those are too cute!! My 3 year old loves TMNT! !